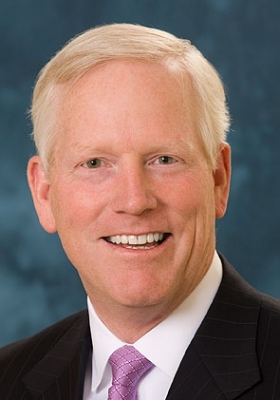 Superior Industries International Inc., a longtime aluminum wheel manufacturer led by former Visteon CEO Don Stebbins, is relocating its global headquarters from California to suburban Detroit. The move from Van Nuys, Calif., to Southfield, Mich., just north of Detroit, will result in the loss of about 50 managerial and clerical positions in California, the Los Angeles Business Journal reported. California’s loss is Michigan’s gain as the relocation is expected to create 75 new jobs along with a $75 million investment, the Michigan Economic Development Corp. said in a statement last month. To support the move, the Michigan Strategic Fund awarded Superior a $900,000 performance-based grant. The MEDC said Superior chose Southfield over competing sites in Texas and Tennessee. Superior operates five plants; one in Fayetteville, Ark., and four in Mexico. Its corporate office remains in Van Nuys. The wheel supplier also recently won a proxy battle between its board and its largest shareholder, Rye, N.Y.-based Gamco Asset Management Inc. Gamco contested Superior’s board selections last year and continued to battle the supplier’s board right up to the annual shareholders meeting this week in Southfield. Superior CEO Stebbins is no stranger to controversy. He was ousted in 2012 from Visteon after clashing with the supplier’s board. At Visteon, Stebbins pushed for an acquisition strategy while some board members tied to large bondholders wanted him to streamline the company. Stebbins’ replacement, Timothy Leuliette, sent Visteon down a path of divestiture and repositioning in Asia. Last week, Superior reported net income of $4.3 million for the first quarter that ended March 29, on revenue of $173.4 million, compared with income of $4.8 million on revenue of $183.4 million during the same quarter last year.